A global citizen places his or her identity with a global community above his or her identity as a citizen of a particular nation or place. Advancement of internet and information technology has brought the world closer than ever and globalization is happening in every fields. To be successful in a globalized economy, students should be prepared to collaborate with people across the globe. They should develop the character, personality and skills to work with people who are different in race, religion, culture and language. This underscores the importance of learning, teamwork and collaboration to be successful on a global platform. At Carmel the term success isn’t about how much money one makes or about the materialistic achievement, it is about the difference one makes in the people’s life. Students are taught to help each other and focus on self-improvement, rather than competing with each other. They are constantly reminded of the famous words by Pele that success is no accident, it requires hard work, perseverance, learning, studying, sacrifice and most of all love of what one is doing. Transform literally means making a thorough or dramatic change in the form, appearance, or character.At Carmel students undergo a complete transformation through our constant training and encouragement to think out of the box and work hard. We transform our students by teaching various subjects in way students can easily grasp and remember, scientific experimentation, training in extracurricular activities, and teaching ethics and social values. 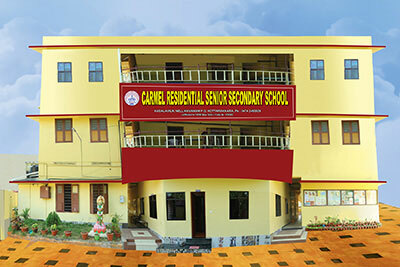 Every activity in Carmel is fully intended to help students undergo this transformation and build their character, personality, skills and knowledge to succeed in life. We cannot transform our students unless all our staff, parents as well as management undergoes the transformation. Mahatma Gandhi, famously said – “be the change that you want to see in the world”. Within the Carmel family everyone undergoes this transformation. The term you in the mission statement includes students, staff, parents and management. We are all together in this journey of life and at Carmel we strongly believe that in this journey of life we can go further together.